10:50 | Lima, Feb. 12. 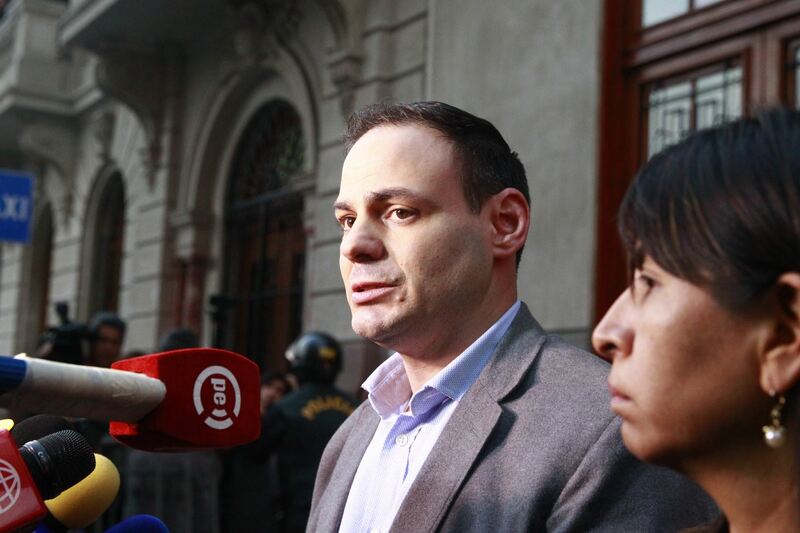 The Second National Criminal Appeals Chamber, led by Judge Cesar Sahuanay, has lifted the travel ban imposed on Fuerza Popular party leader Keiko Fujimori's husband Mark Vito Villanella. On November 27, the Judicial Branch imposed a travel ban on Villanella, barring him from leaving the Inca country for 36 months as part of an ongoing investigation into alleged money laundering. Earlier that month, Prosecutor Jose Domingo Perez opened a preparatory investigation and requested the ban. However, according to the abovementioned chamber, Judge Richard Concepcion Carhuancho included facts that were not considered by Perez when requesting such a measure. Therefore, another judge was required to pronounce on the Prosecutor's Office request. The prosecutor made the decision to start a probe on Villanella for the purchase of two lots south of Lima —worth S/617,329 (around US$183,129)— using alleged illegal funds. As is known, Concepcion Carhuancho ordered the preventive detention of Keiko Fujimori over alleged money laundering charges in October last year.